Truex sits third in the Chase for the Sprint Cup Championship point-standings heading into Sunday’s 11th annual AAA Texas 500 here. Four-time Cup champion Jeff Gordon clinched a “Final Four” spot with his victory at Martinsville Speedway last Sunday, leaving three openings to be filled between here and Phoenix International Raceway for the season-ender at Homestead-Miami Speedway. Perhaps NASCAR’s most famous “little team” champion was the late Alan Kulwicki, who won the 1992 championship as owner/driver of his single-car Ford “Underbird.” So, let the comparisons begin. “Well, there’s two sides to it,” said Truex, driver of the No. 78 Furniture Row/Precision Chevrolet SS. “I really enjoy the underdog role. It’s really cool for a lot of reasons. If you look at our race team, we are an underdog. I’ve never been in a championship battle in this series. I’ve got a rookie crew chief (Cole Pearn). We’re a single-car team in Denver. There’s a lot of reasons why we really do fit the mold of an underdog. 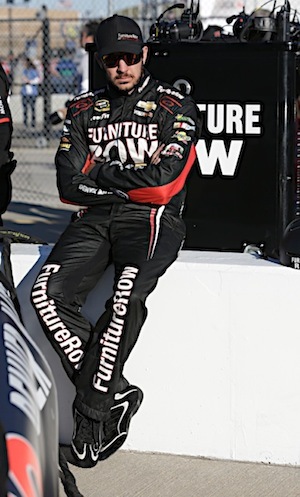 Furniture Row will exit the Chevrolet camp at season’s end for a new alliance with Toyota via Joe Gibbs Racing. Despite that impending switch, Truex is wheeling a brand new No. 78 Chevy here. 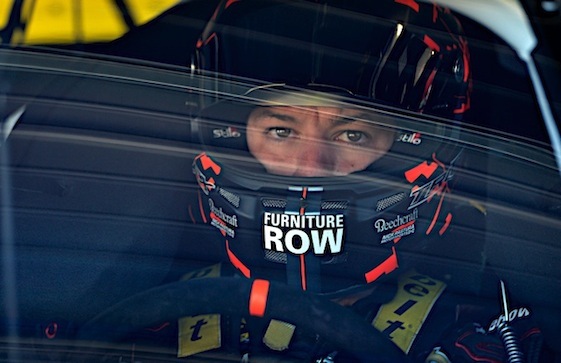 “Right now, it’s all laying on this year, focused 100 percent,” said Truex, who has posted an average finish of ninth through the first seven Chase races. 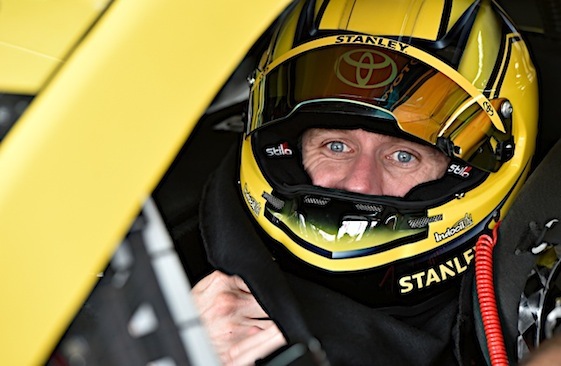 If there is a code NASCAR drivers are supposed to live by on-track, Carl Edwards says it apparently is written in invisible ink. Proper etiquette was a hot topic Friday during several interviews at Texas Motor Speedway in the wake of the two-race suspension levied by NASCAR against Matt Kenseth for dumping Joey Logano in the closing stages of last Sunday’s race at Martinsville Speedway. Edwards jokingly recalled testing the code during a series of incidents involving Brad Keselowski during the early days of the latter’s Cup career that since has been capped by a series championship in 2013. Edwards, a two-time race-winner this season who is fifth in Chase points, offered an anecdote from his tenure as a young Cup driver with Roush Fenway Racing. Erik Jones’ dance card at TMS went three-race-full Thursday night when Matt Kenseth lost a pair of appeals to override NASCAR’s two-race suspension. Jones will make the third Cup start of his career in Sunday’s 11th annual AAA Texas 500 in the No. 20 DeWalt Toyota Camry in place of Kenseth. Jeff Gordon, Texas rancher, might become a suitable title for the four-time NASCAR Sprint Cup champion following his retirement as an active driver at season’s end. Texas Motor Speedway President Eddie Gossage “ponied-up” Friday with farewell gifts for Gordon, who will make his final start here in Sunday’s 11th annual AAA Texas 500. Gossage truly shocked Gordon by trotting out a pair of Shetland ponies into the speedway’s infield media center for Jeff’s children _ 8-year-old Ella and 5-year-old Leo. In addition to “Scout,” a 300-pound black-and-white paint pony and “Smoky,” a 400-pound dapple-colored pony, Gossage presented Gordon with a shovel. “Yes I do,” said Gossage, dressed like a ranch-hand in cowboy hat and bandana. Gossage told Gordon his kids already had been contacted about their new pets. “So, you can’t give them back. And the homeowner’s association already has been notified,” Gossage said. “This is amazing. My kids are absolutely going to flip-out,” Gordon said. Gordon was presented with custom-made Luskey’s black cowboy boots featuring his No. 24 and signature as well as TMS logo on each, a mini Gordon Road street sign that is a replica of the one on- property and a commissioned mural artwork piece depicting his 2009 win at TMS by renowned sports artist David Arrigo. The artwork was part of a five-canvas “Live Mural Experience” in which Arrigo has been touring the DFW Metroplex and painting among the public day and evening since Monday. He was set-up in the media center and had Gordon assist him in painting portions of each canvas during the press conference. Arrigo will finish painting the mural Sunday, situated on the infield grass in front of the starting grid during pre-race activities. The other four paintings from the mural will be donated to Speedway Children’s Charities-Texas Chapter to be auctioned off at a later date.